Visit to Hajime Tonkatsen & Ramen! Watching all these good friends of mine, stepping into a new chapter of their life is the most awesome and rewarding thing that could happen. Well, that also means that I am getting older, OMG. So grateful to have all of them in my life. Emotions aside, the food was really good. This is my 2nd visit and will definitely be back. 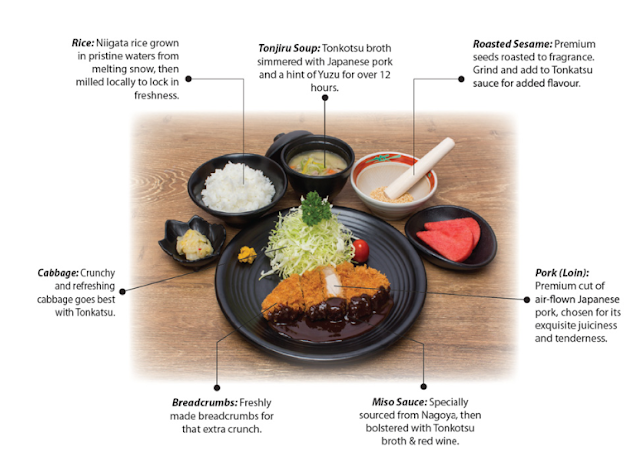 The Premium Pork Loin, priced at S$19.90 and Tonkatsu Ramen priced at S$#14.90 is a must-try! The passion for Japanese cuisine led Chef Tan-San to start Hajime in 2016. Hajime is the Japanese word for "beginning" (初め) and the short form for “Hajimemashite”, which means “Nice to meet you”. It represents our philosophy of going back to food’s beginning and our warm welcome to all patrons. Bringing over 25 years of experience to the kitchen, Chef Tan-San’s journey began after a stint in Japan, where he mastered the art of Tonkatsu and returned in 1993 to helm the kitchen of Tonkichi - making him the first Tonkatsu chef in Singapore. In 2004, he took on the challenge of starting up Tampopo which has since become a household name for authentic Japanese cuisine in Singapore. With a dedication to perfection and serving quality food to his customers, Chef Tan-San is famed for various creations such as Kurobuta Pork Tonkatsu and Tonkatsu Ramen. Check out the suave chef, Chef Tan-San, the first Tonkatsu Chef in Singapore! Sorry, was too busy catching up and laughing our lungs out that night and forgot to take pictures of the food.